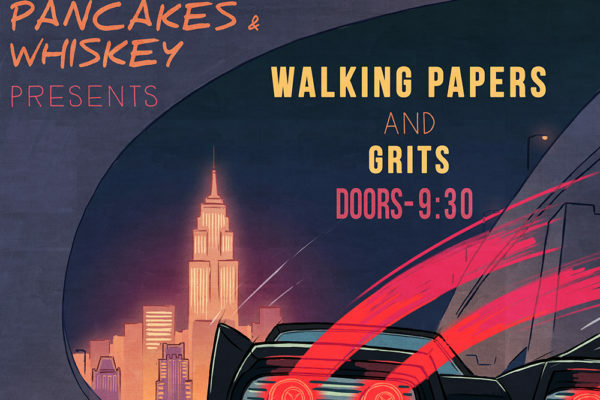 Sometimes, when the atmosphere is freaky enough and the music is retro enough, you get lost. 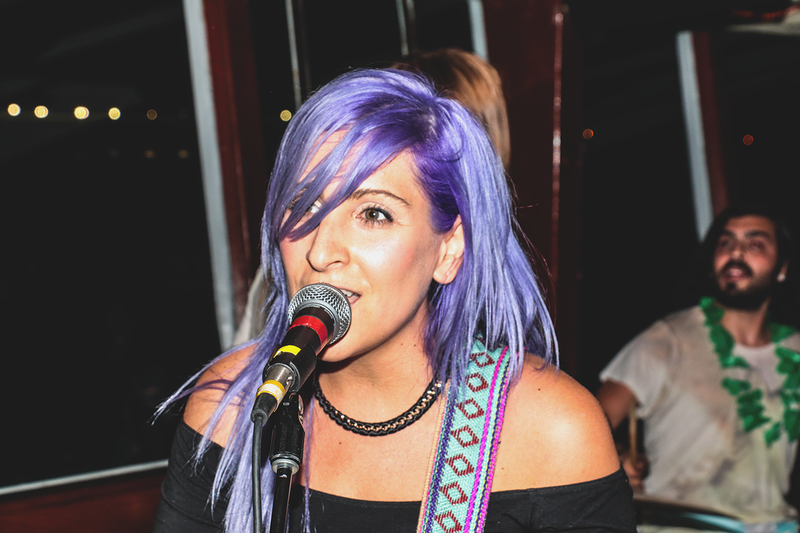 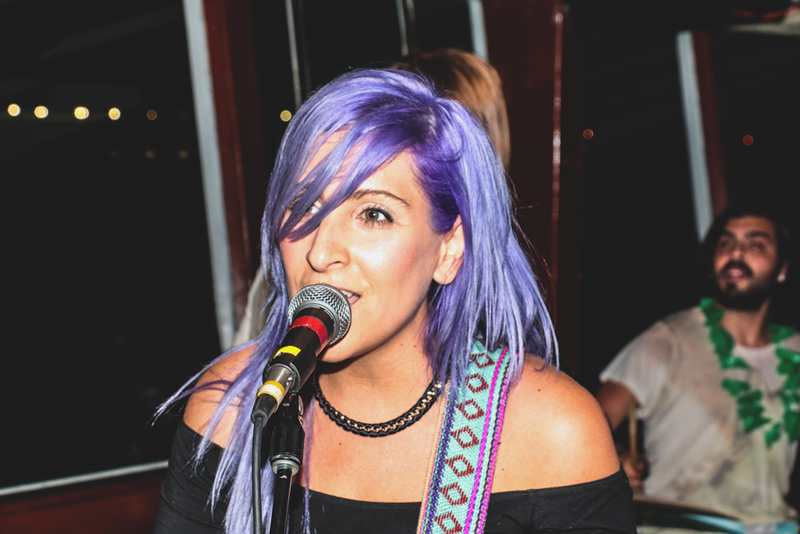 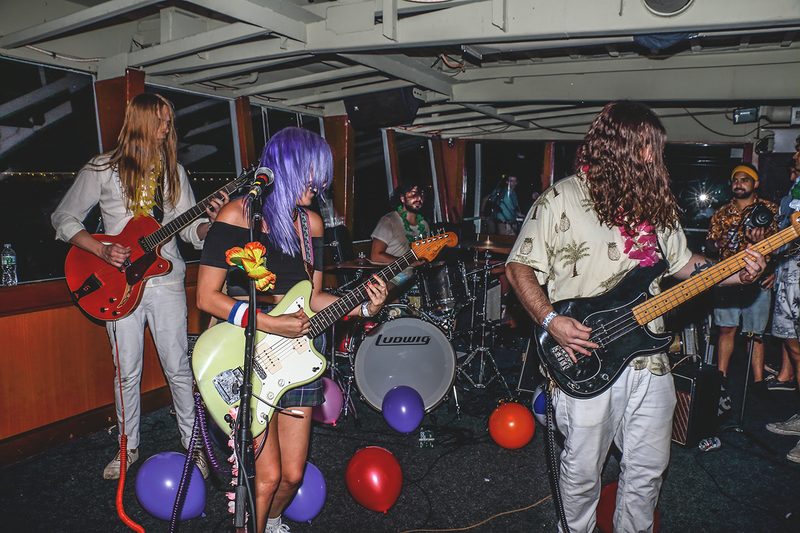 If you’re lucky, you get lost at sea with a band as rad as High Waisted. 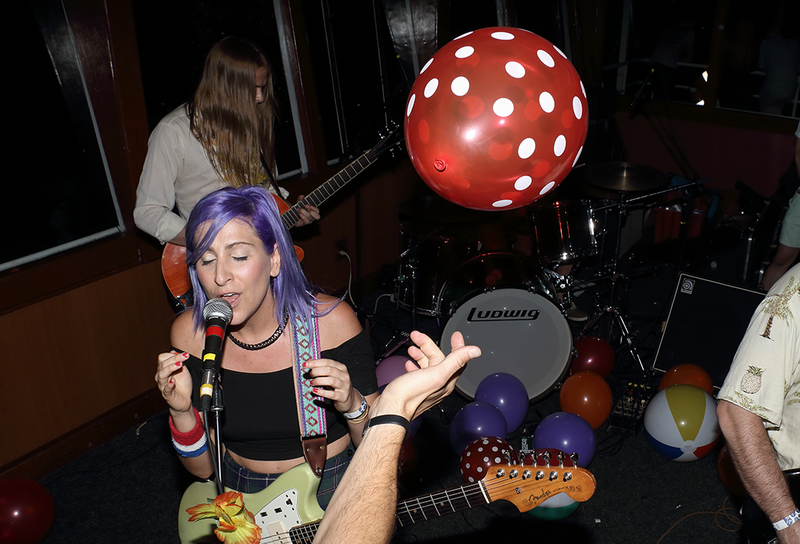 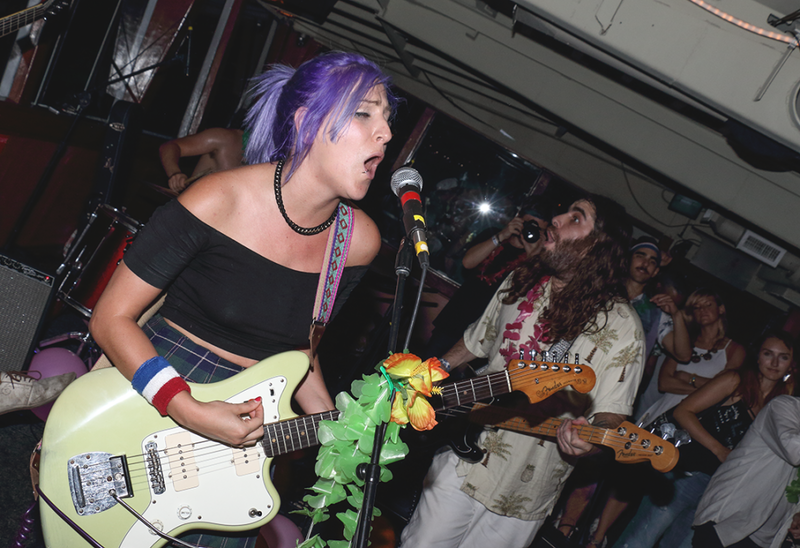 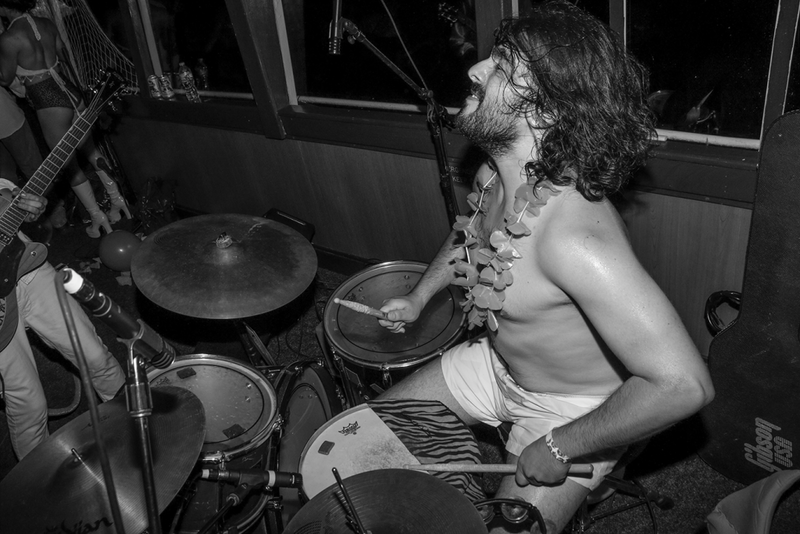 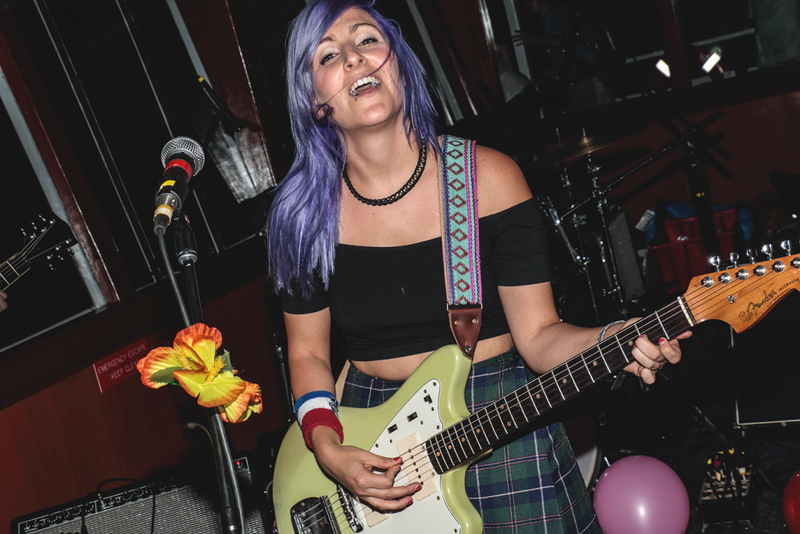 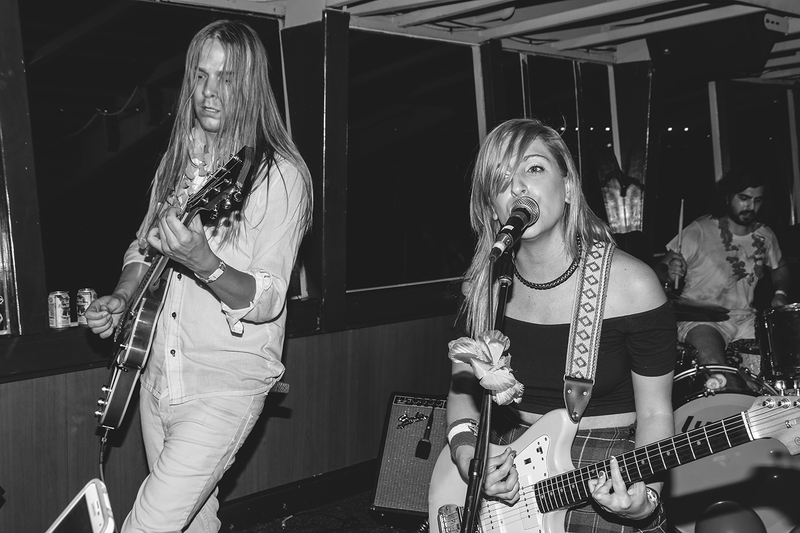 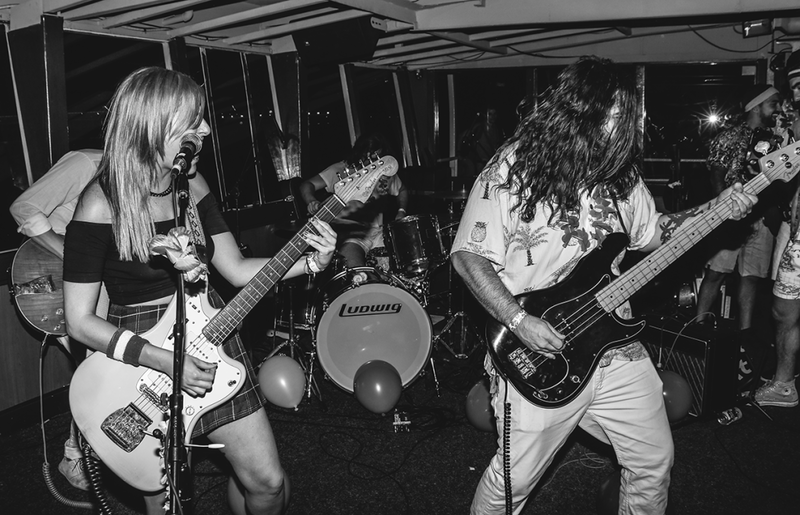 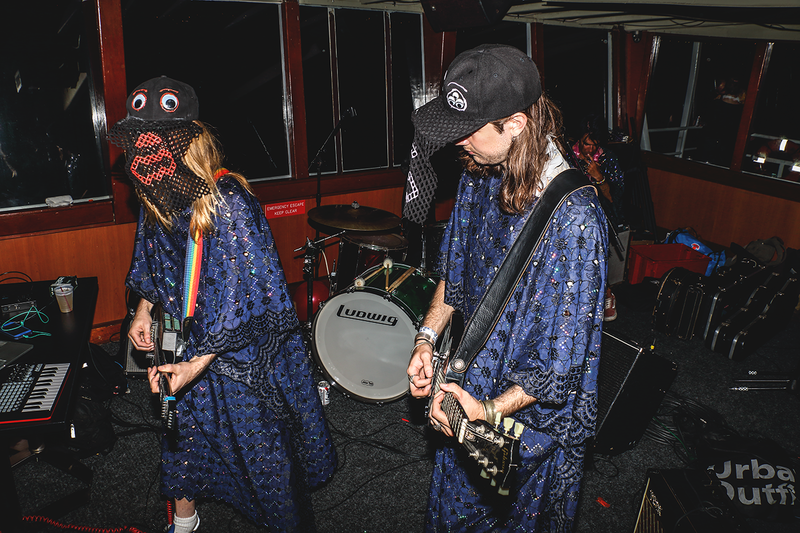 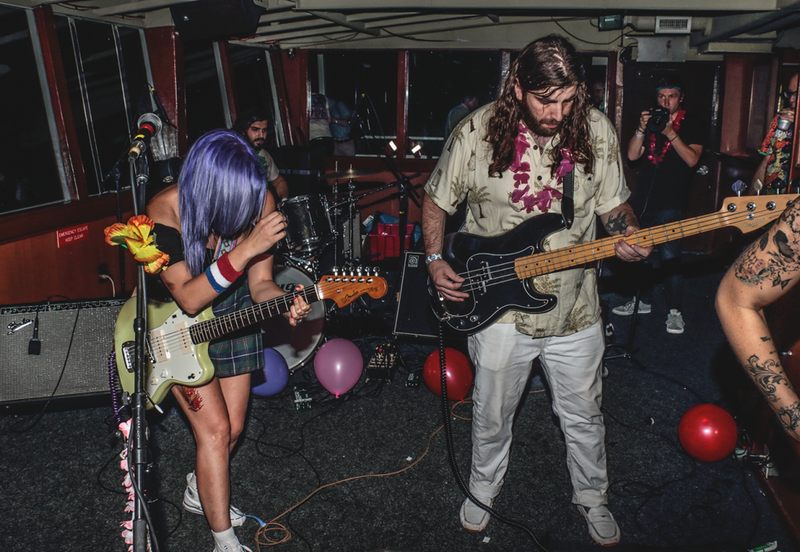 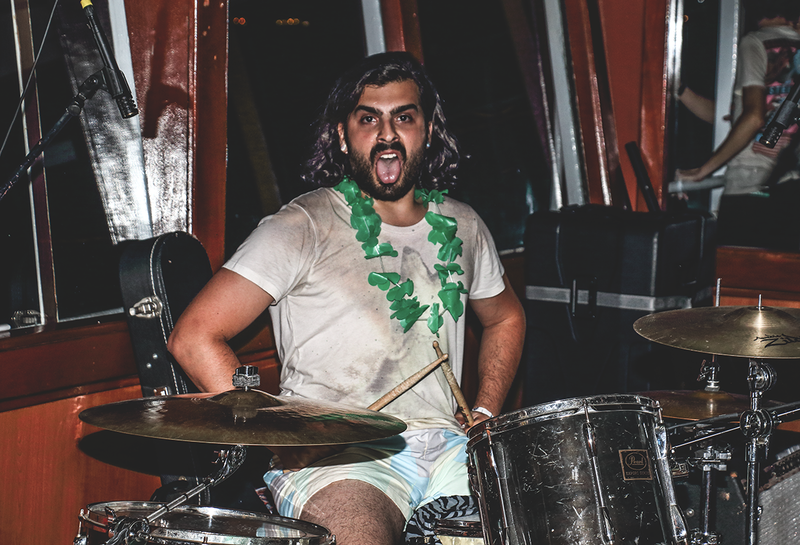 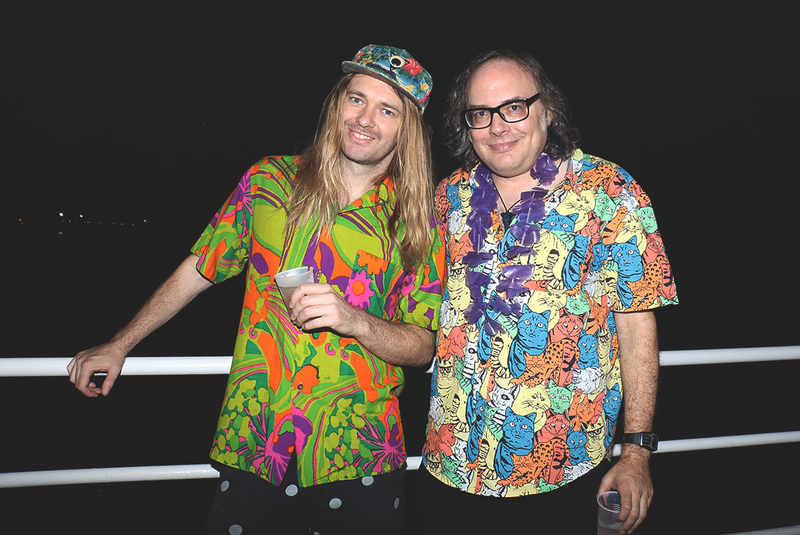 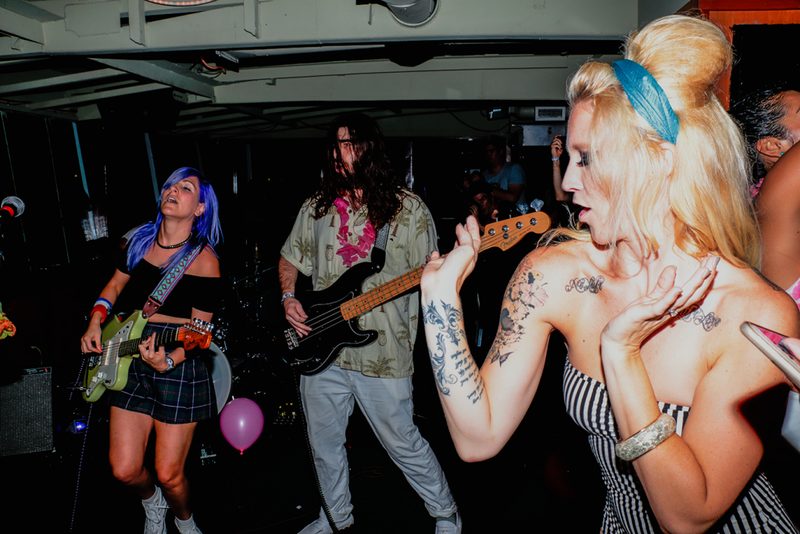 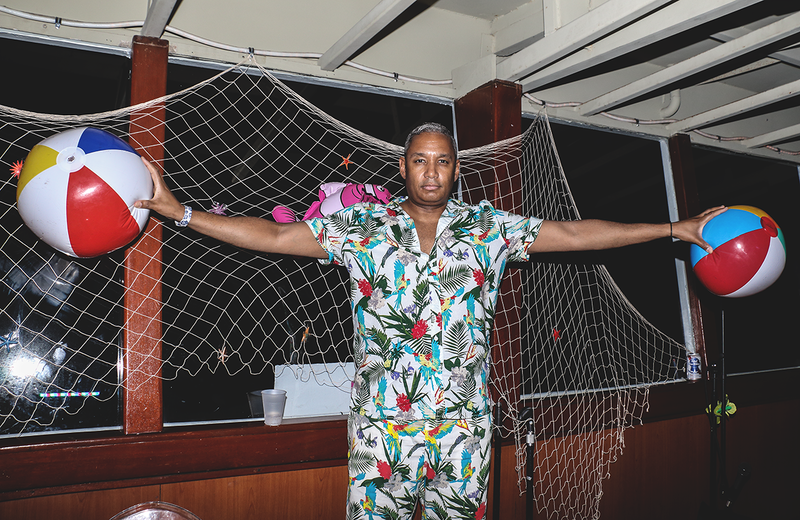 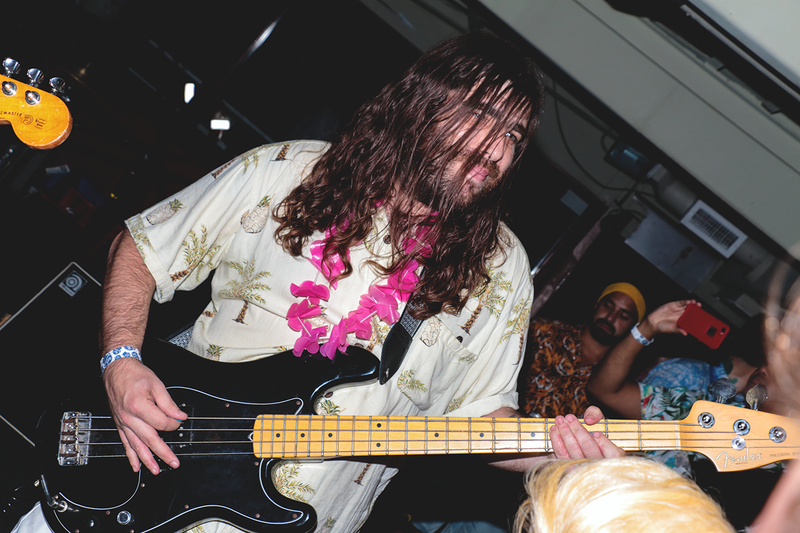 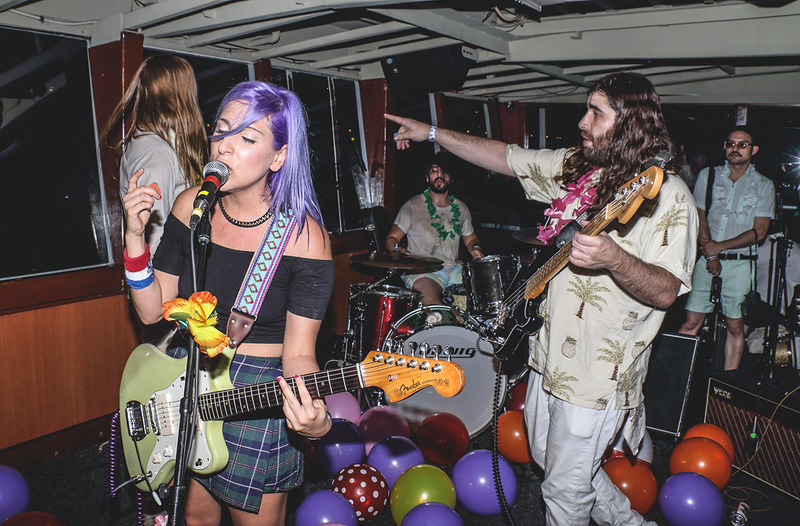 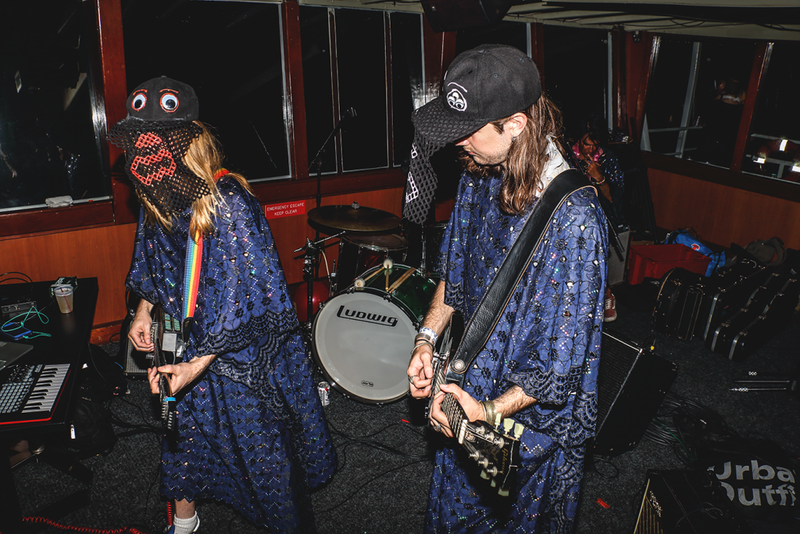 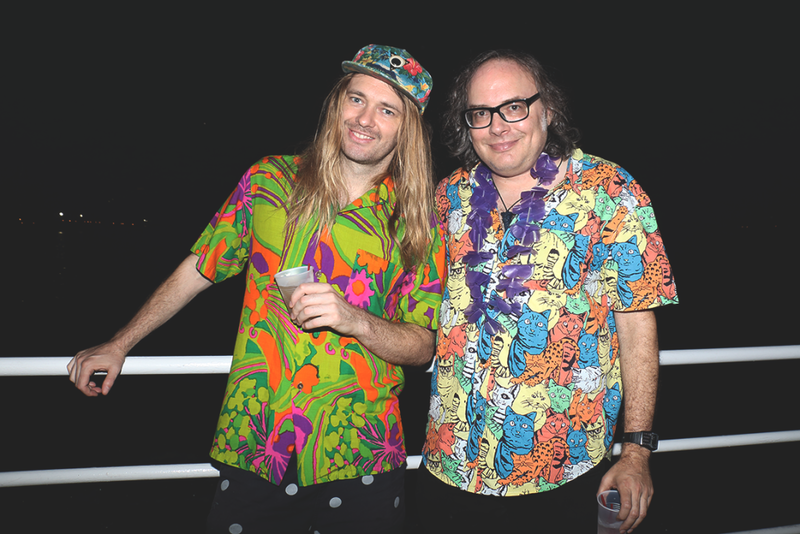 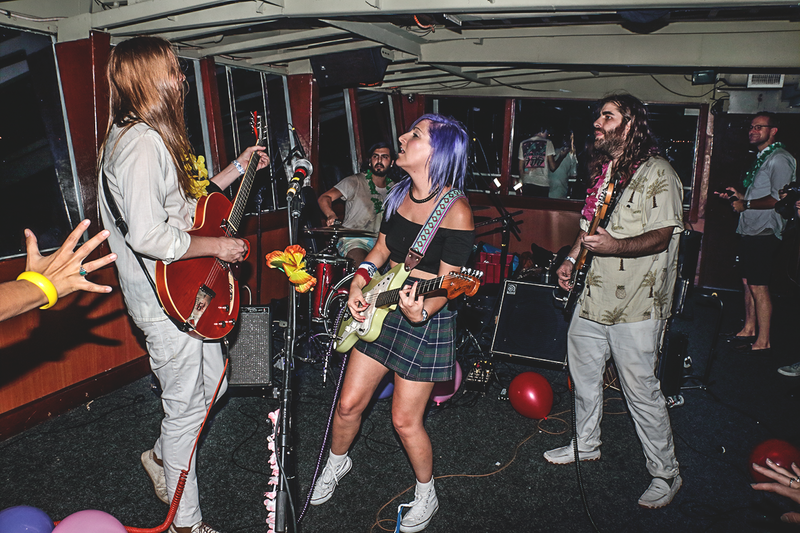 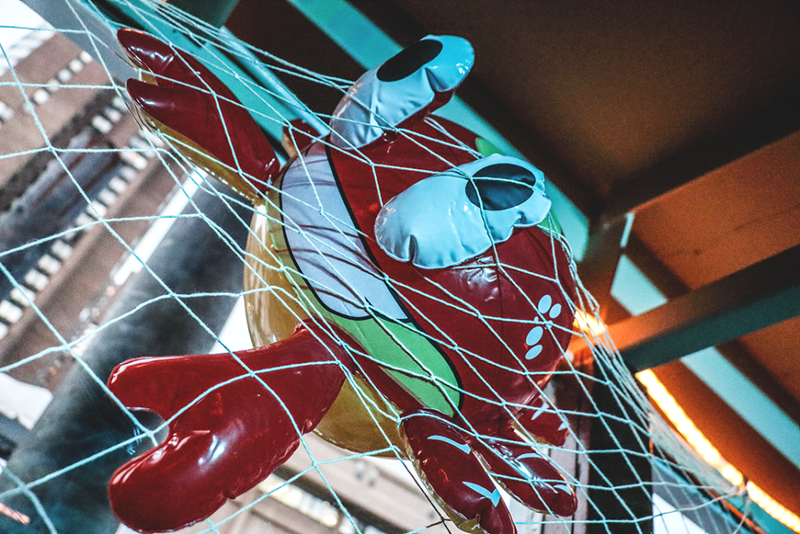 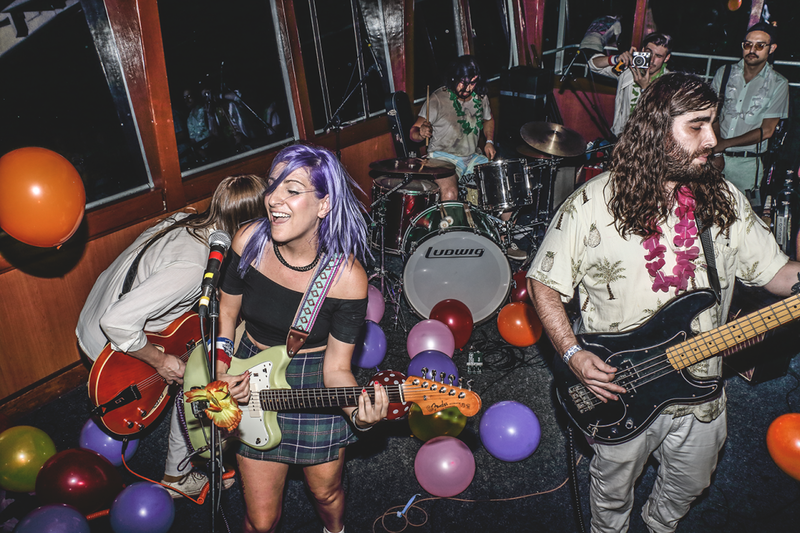 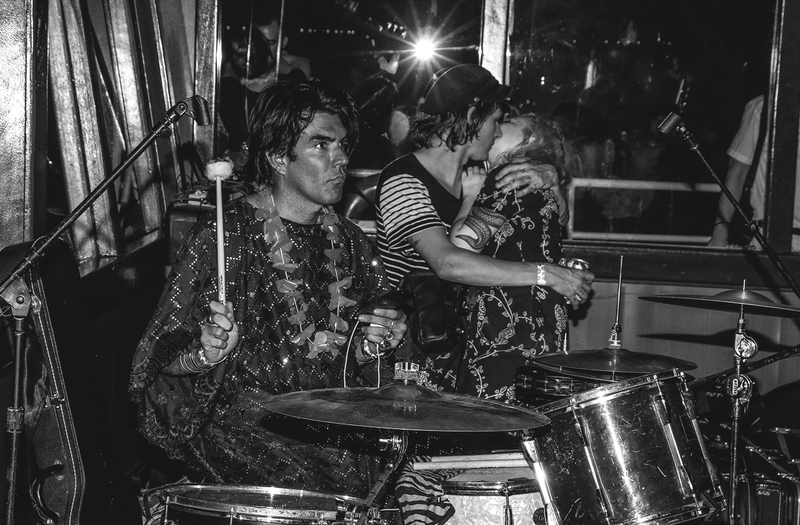 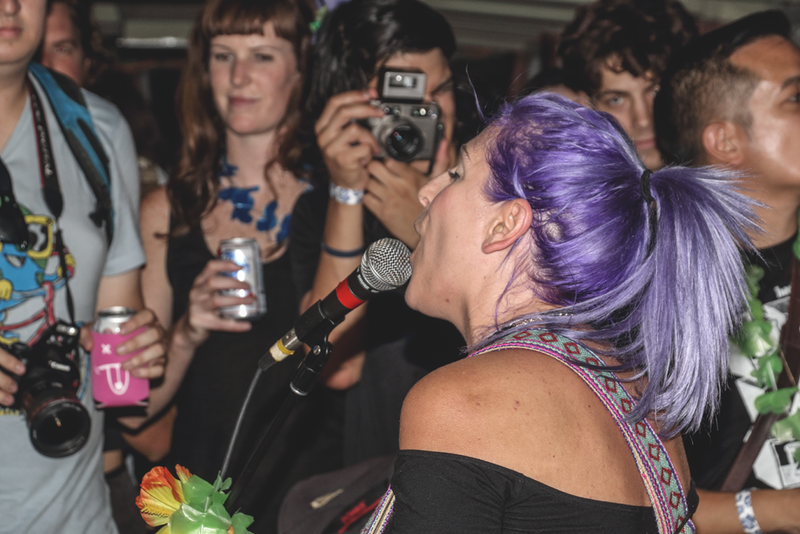 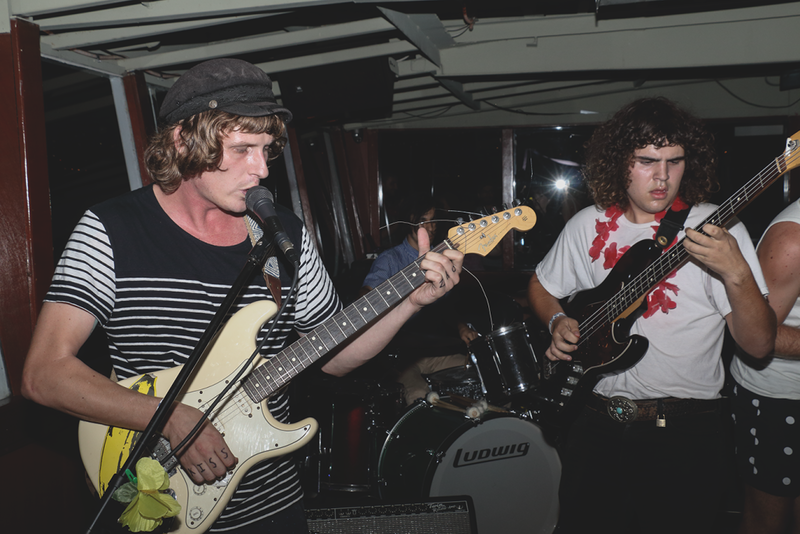 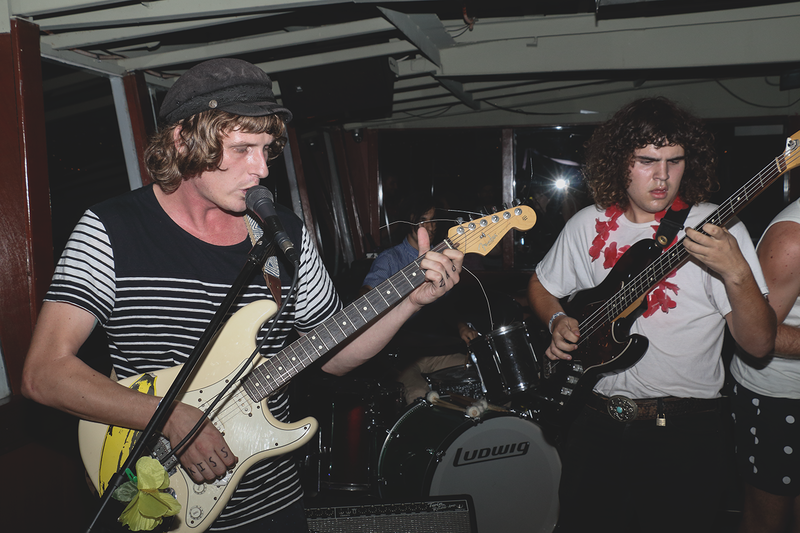 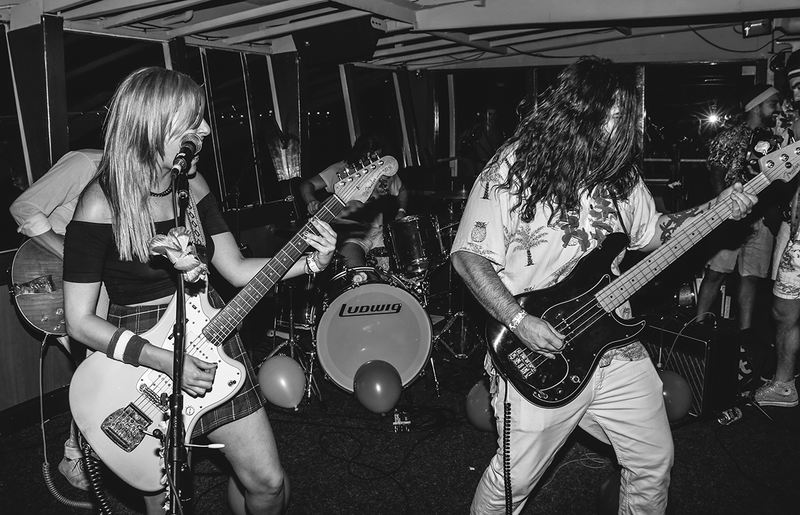 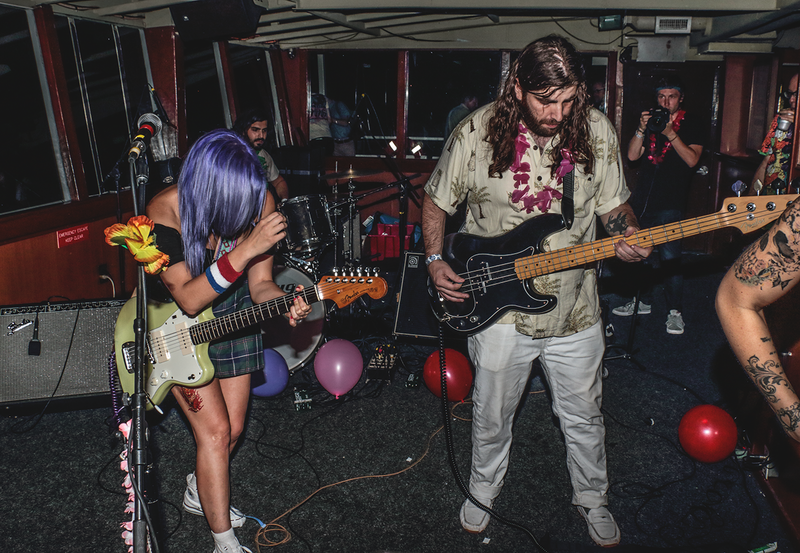 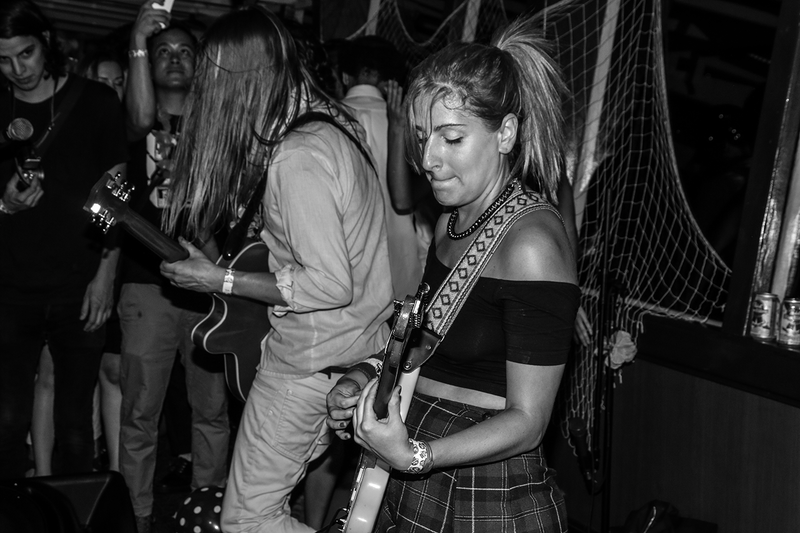 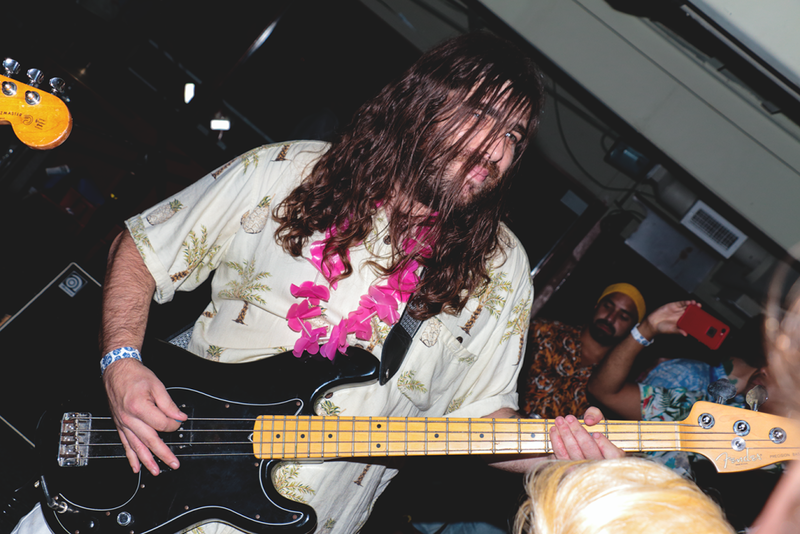 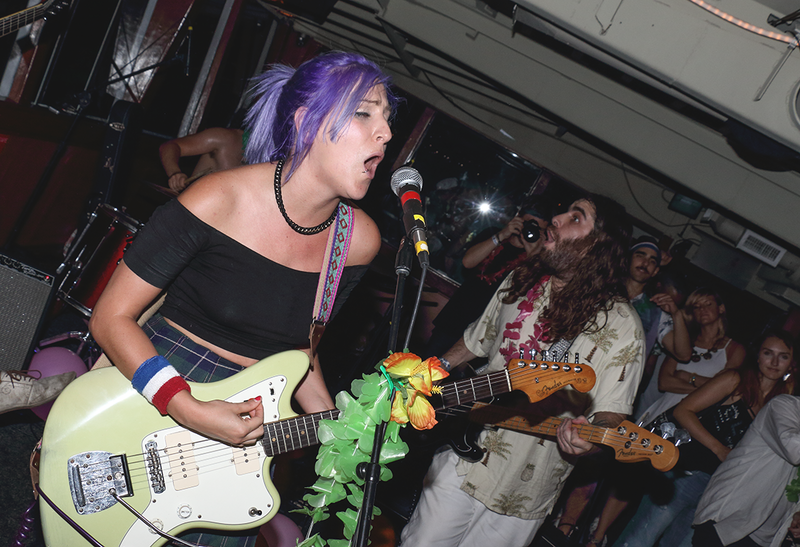 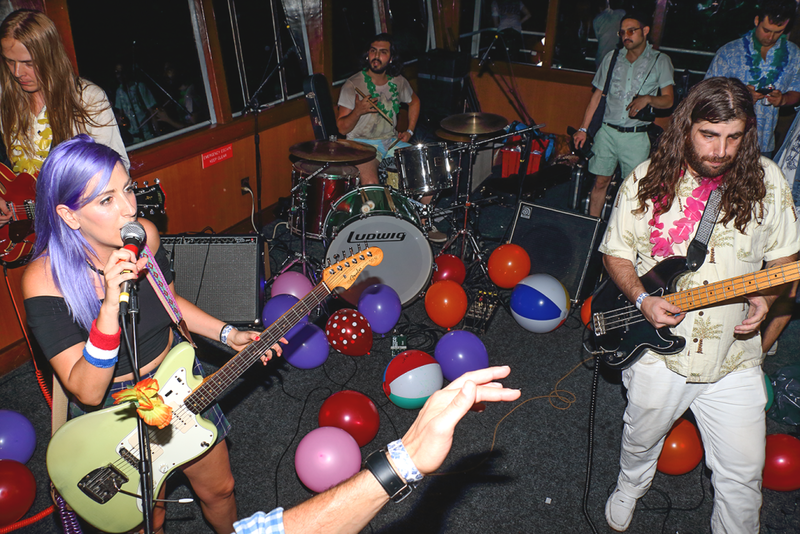 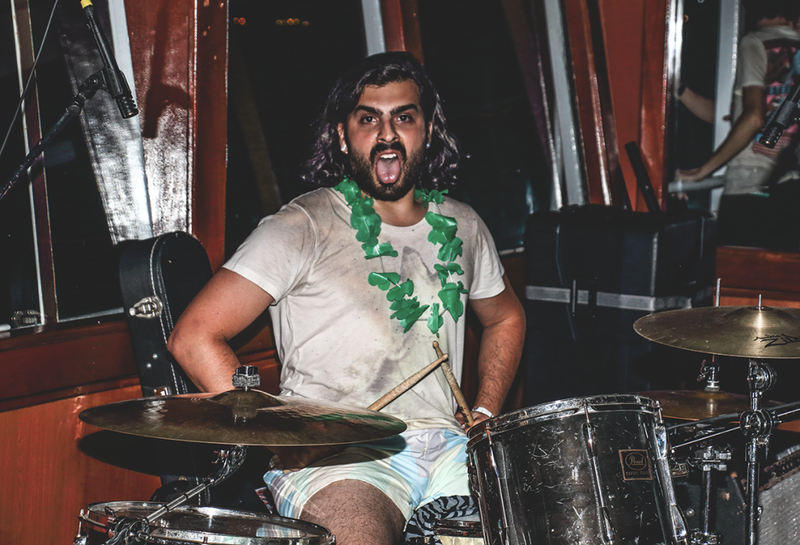 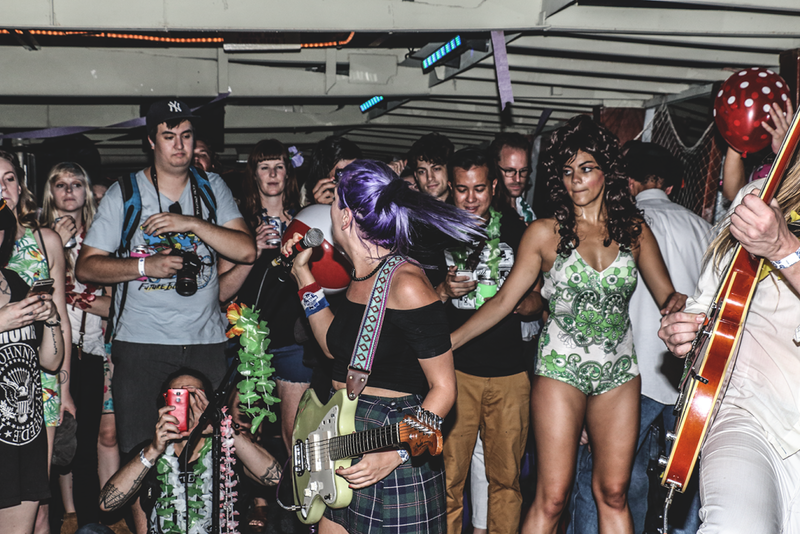 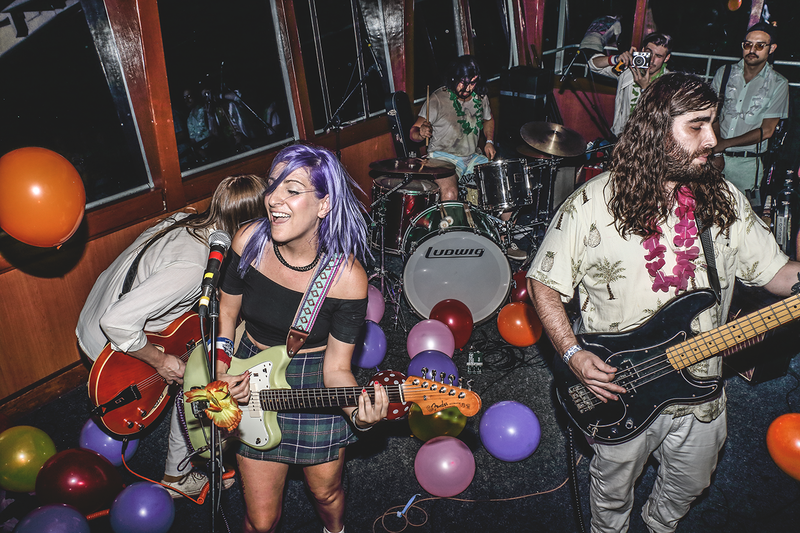 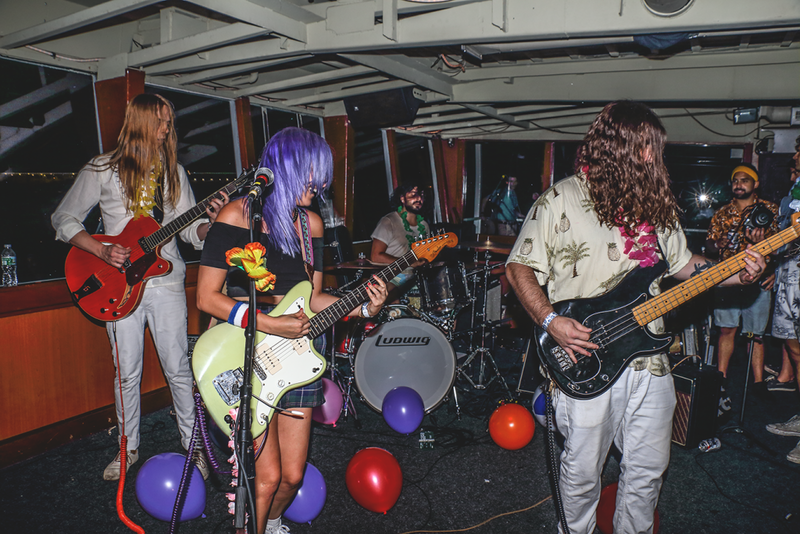 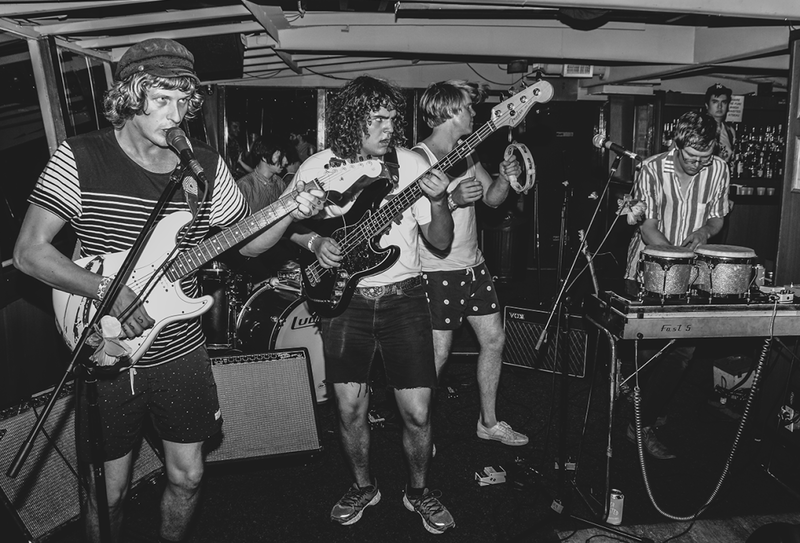 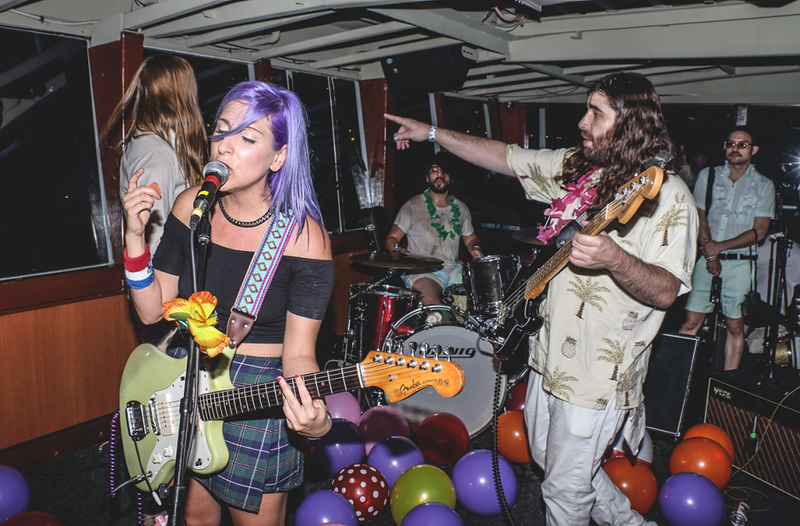 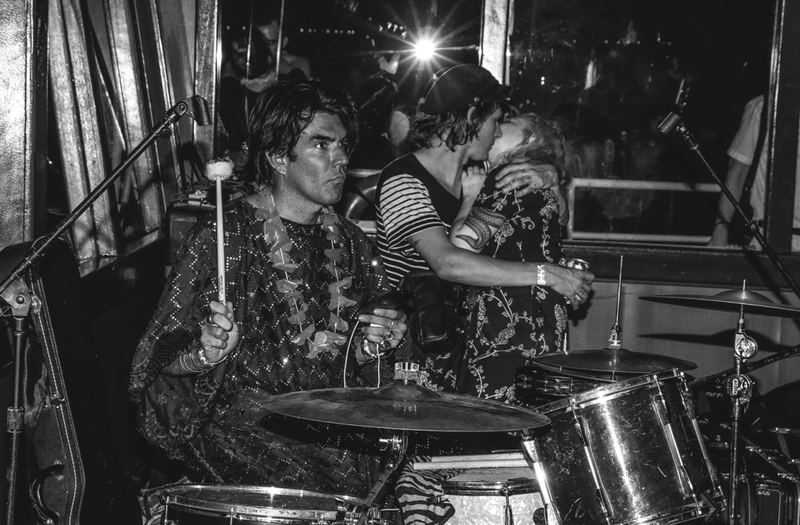 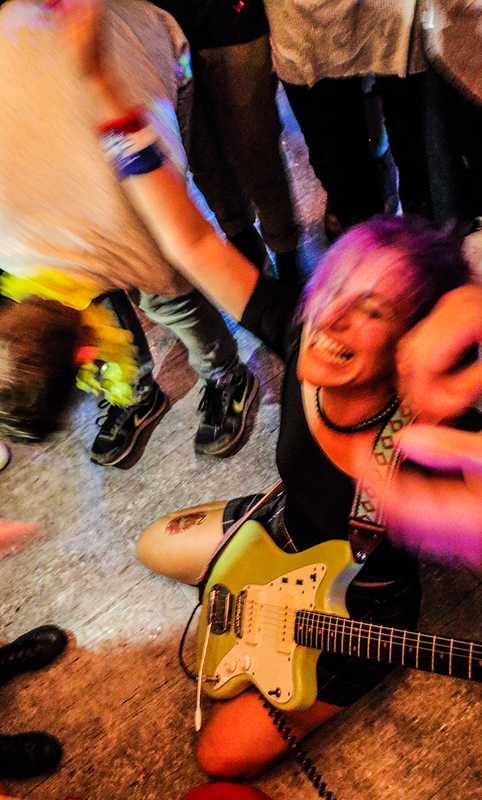 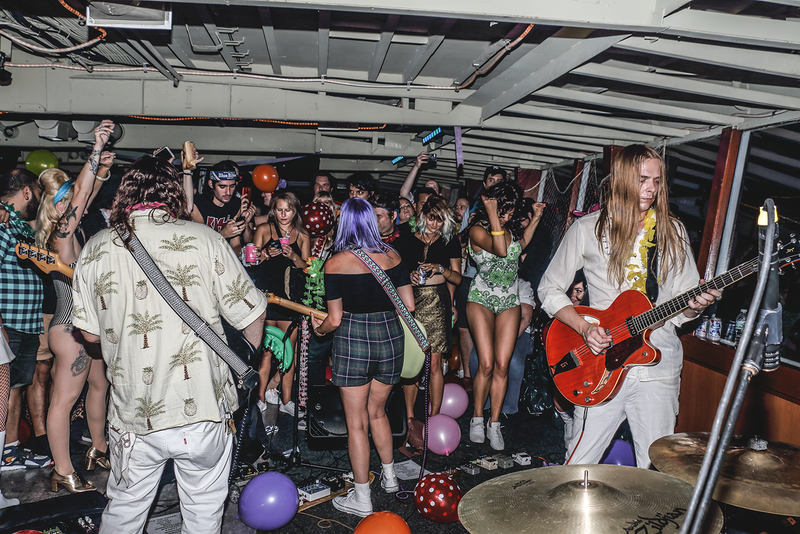 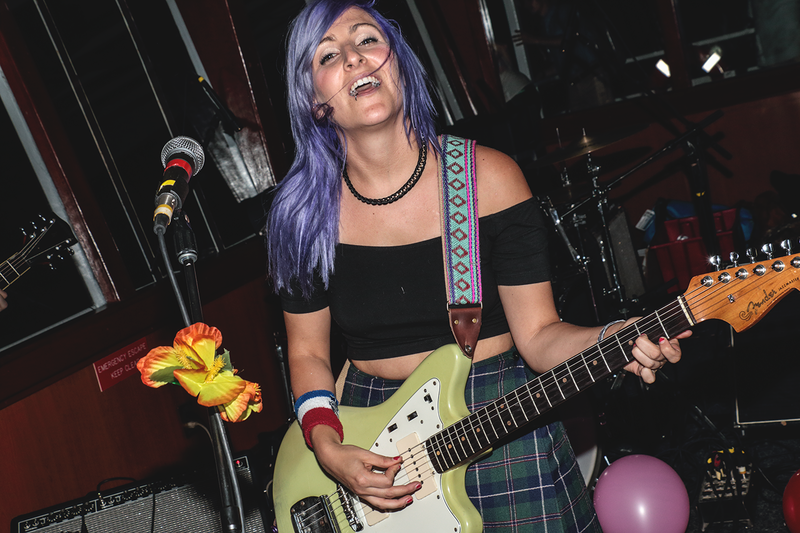 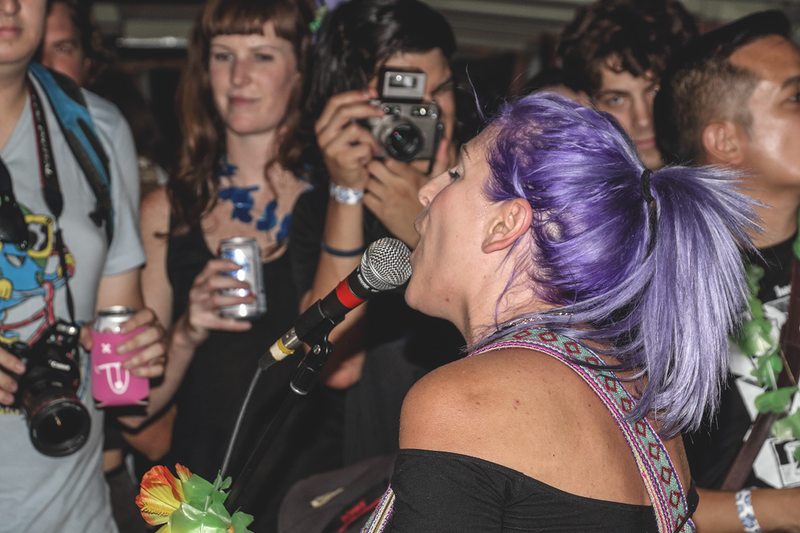 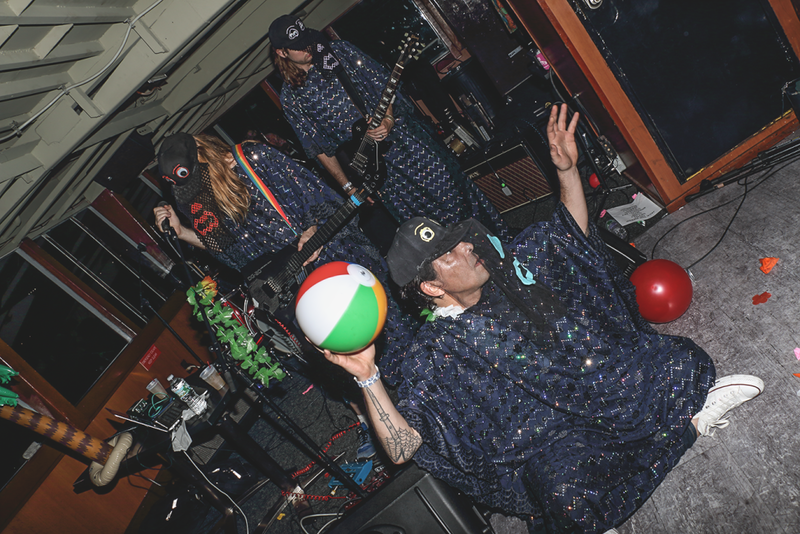 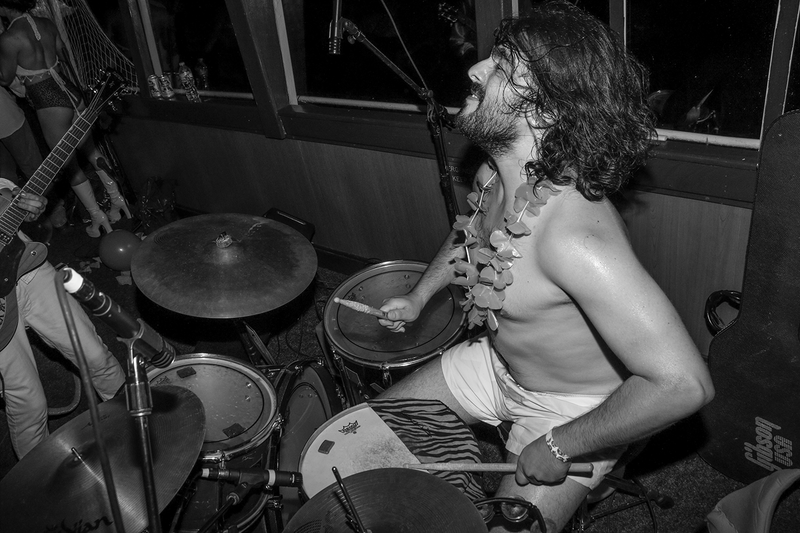 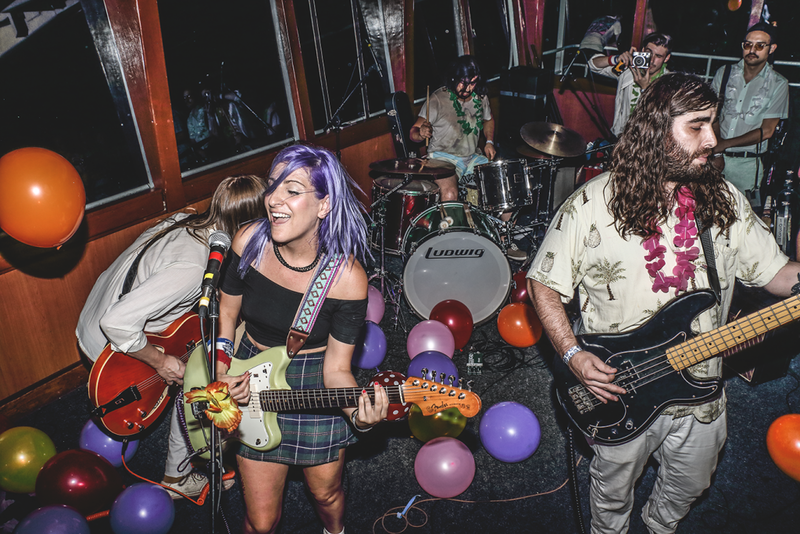 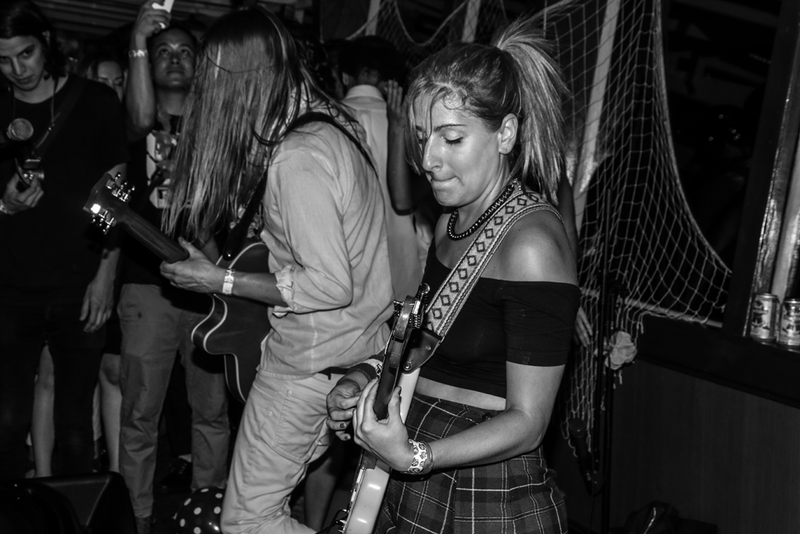 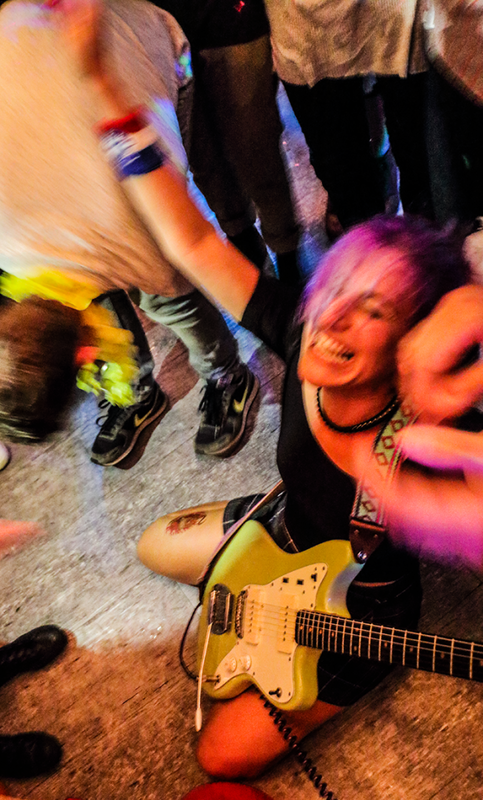 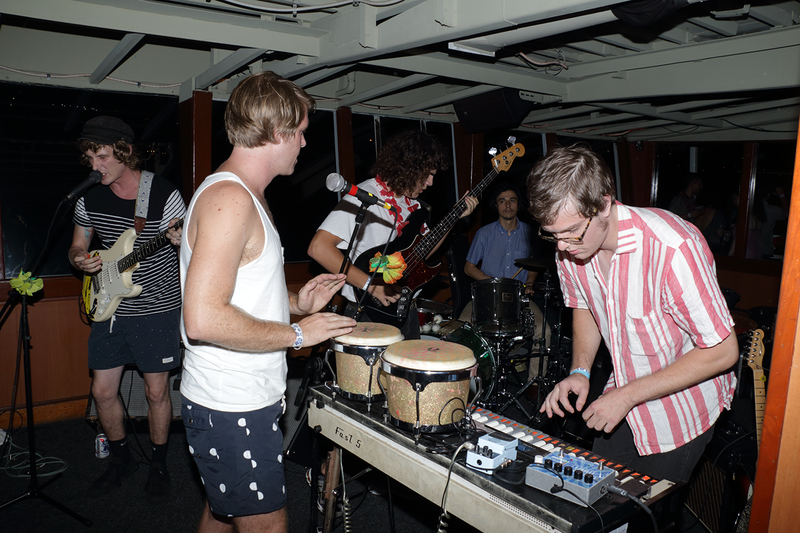 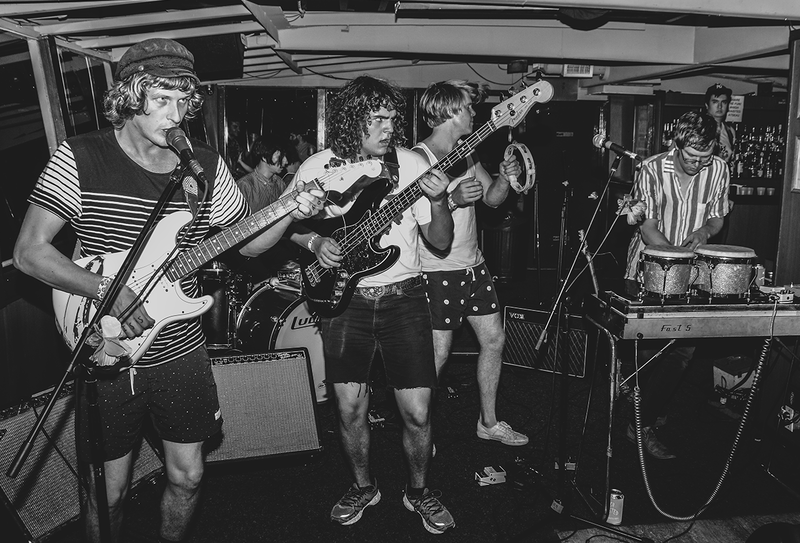 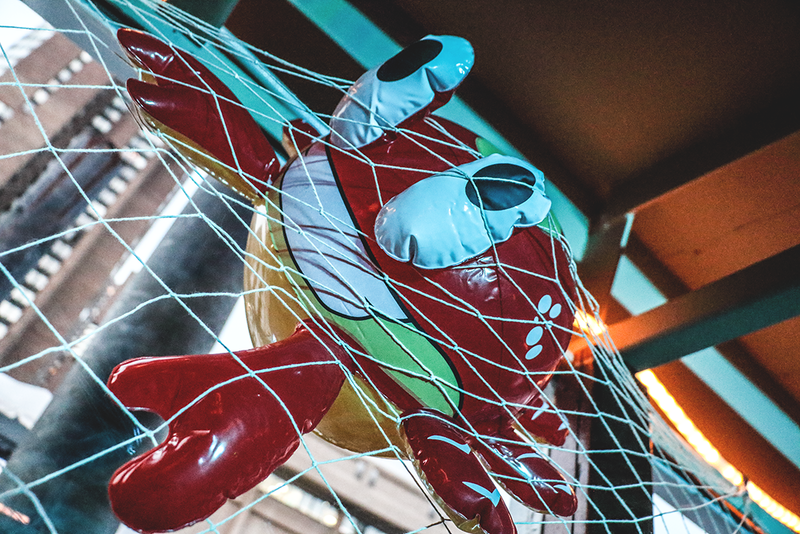 NYC’s beloved party-animal-surf-rockers set the soundtrack for an East River sunset, joined by a select group of groovy fans and a literal boatload of PBRs. 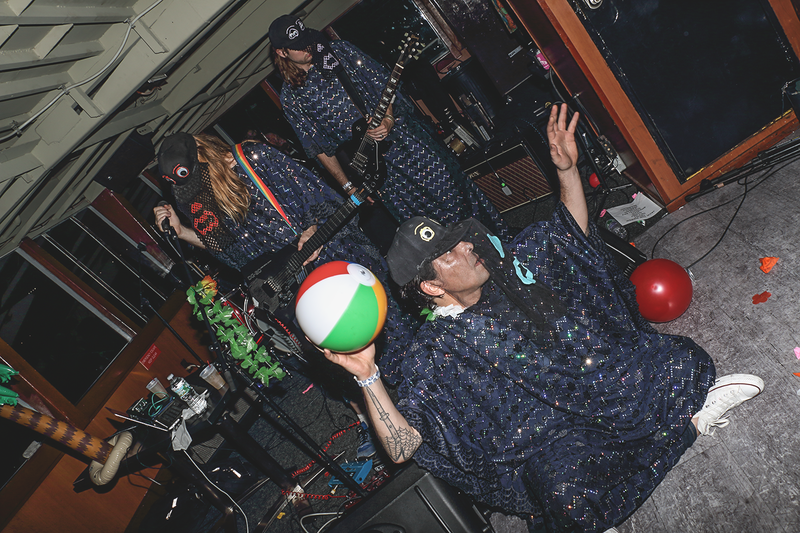 No answers were to be had for the age-old question (first popularized in Bushwick): “Are these people wearing costumes or are they just really hip?” With all the plastic leis and multicolored merch, courtesy of the bash, mixing with the leopard-print booty shorts and Brady Bunch-style shirts, courtesy of someone’s closet, it was tough to tell. 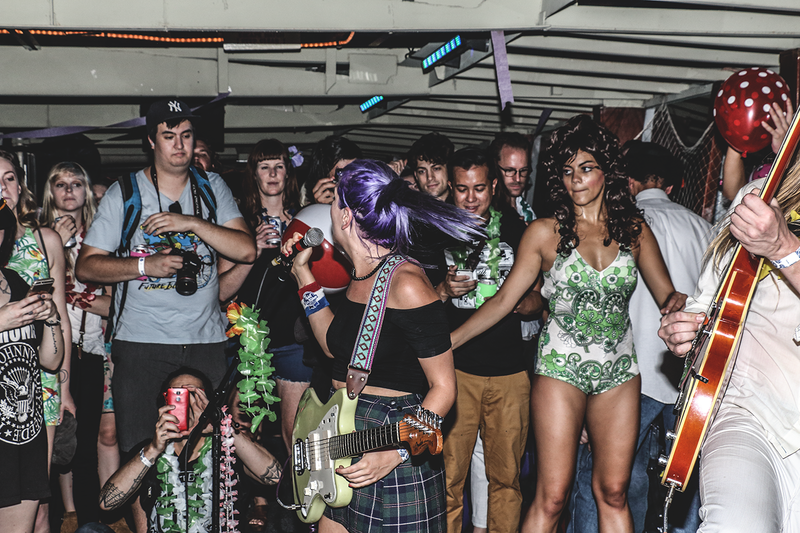 The only thing certain was that everyone had gotten the go-go boots memo. 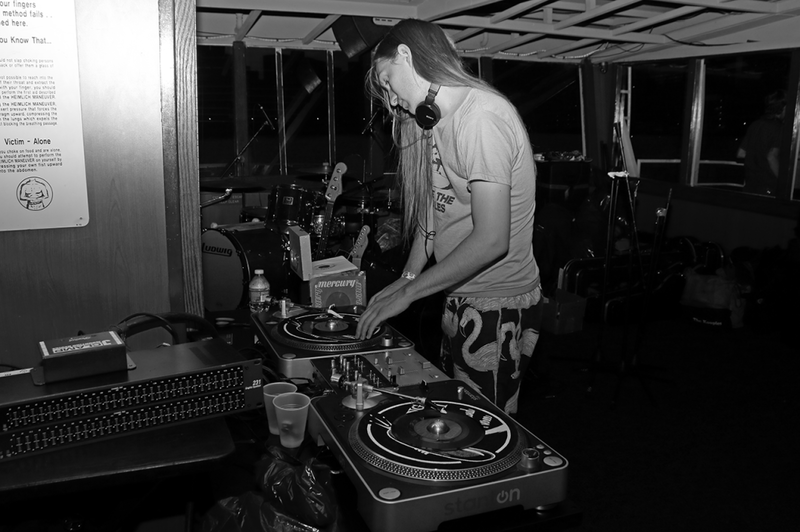 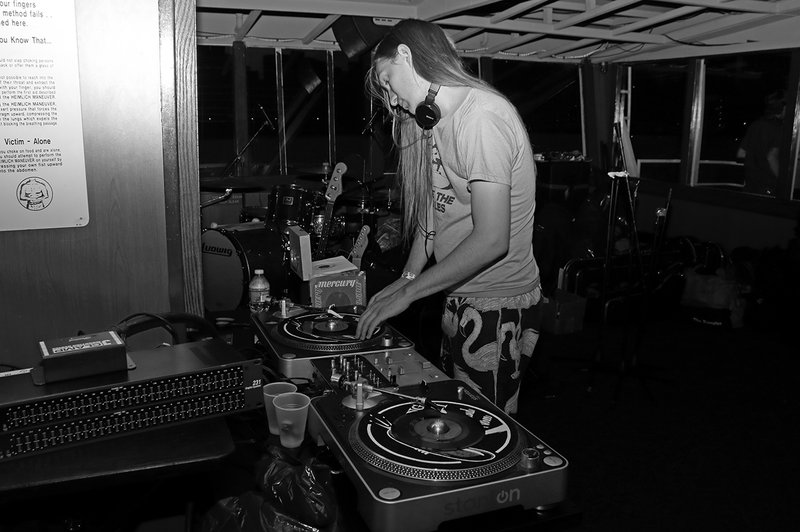 As the Marco Polo carved through the river, a DJ spun old rock 45s on full blast. 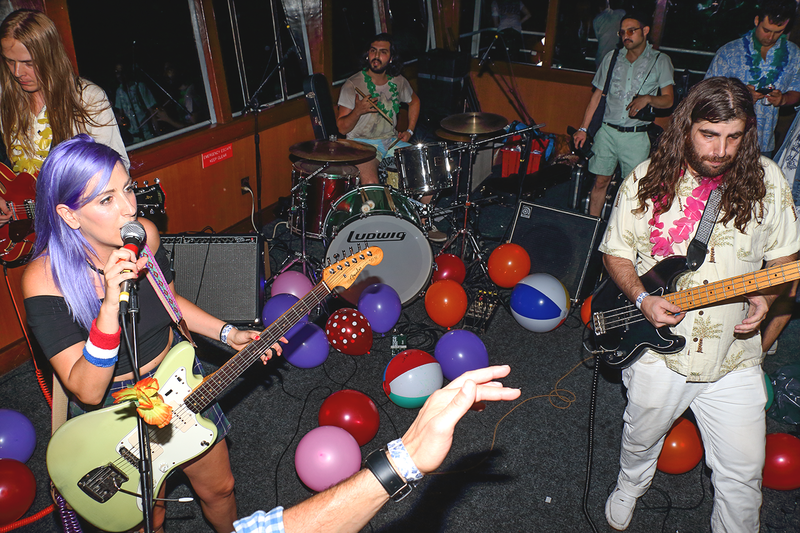 Crackling classics like the Ramones’ “Judy Is A Punk” revved up the already intoxicated crowd, who punted beach balls around the ship with remarkable focus. 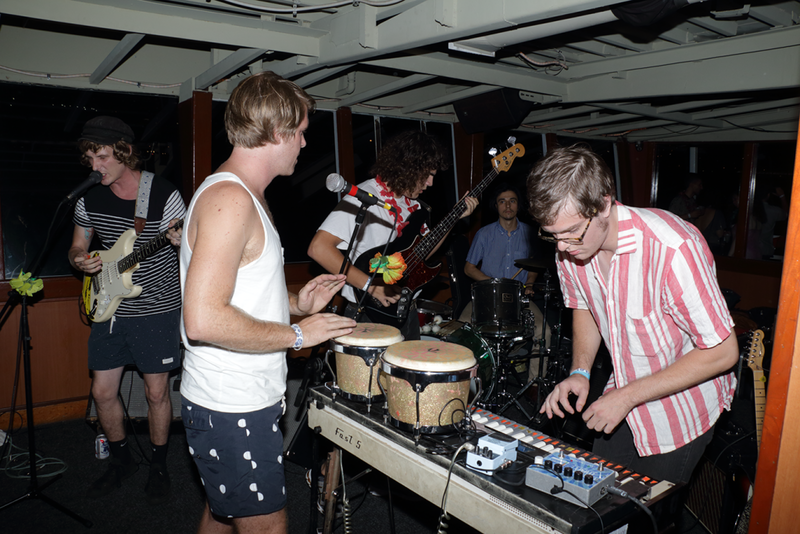 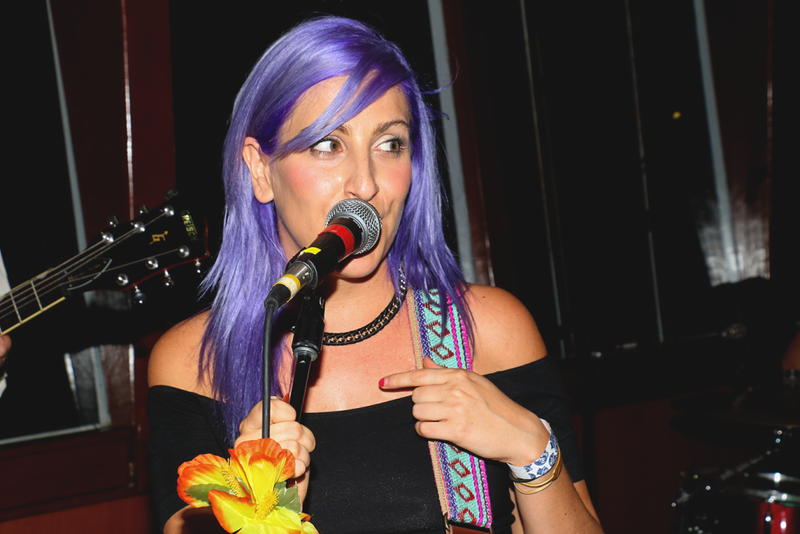 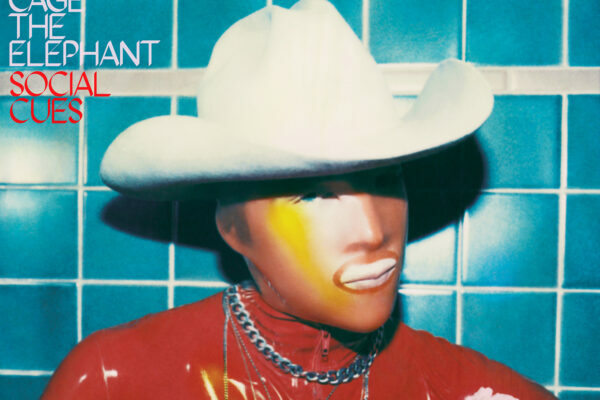 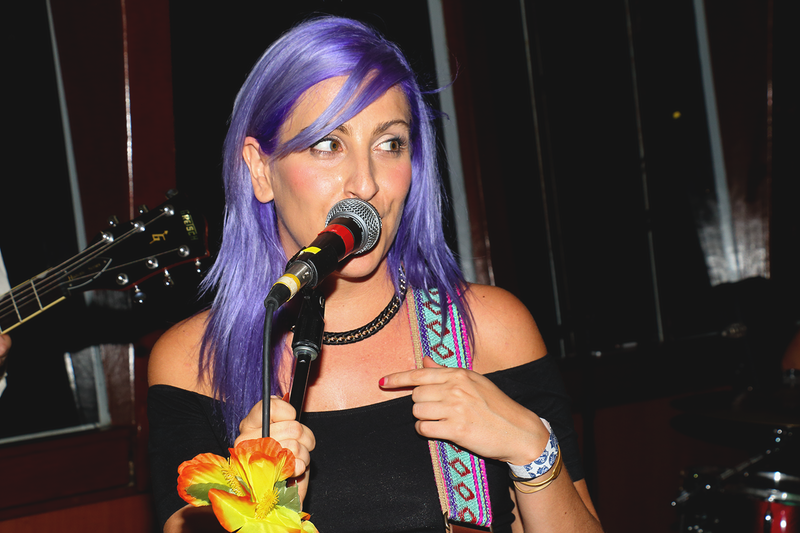 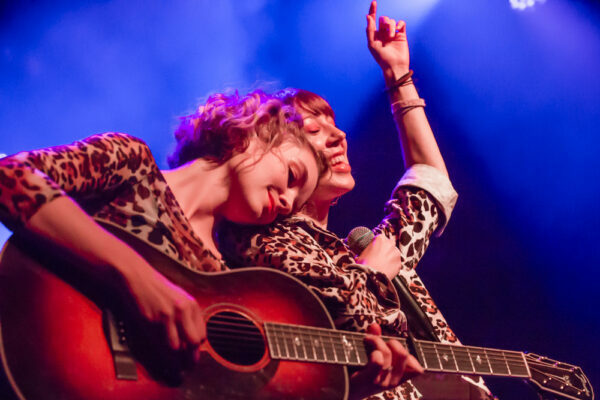 Also on the lineup were Savants and Fascinator, who made sure to keep the funky mood funky. 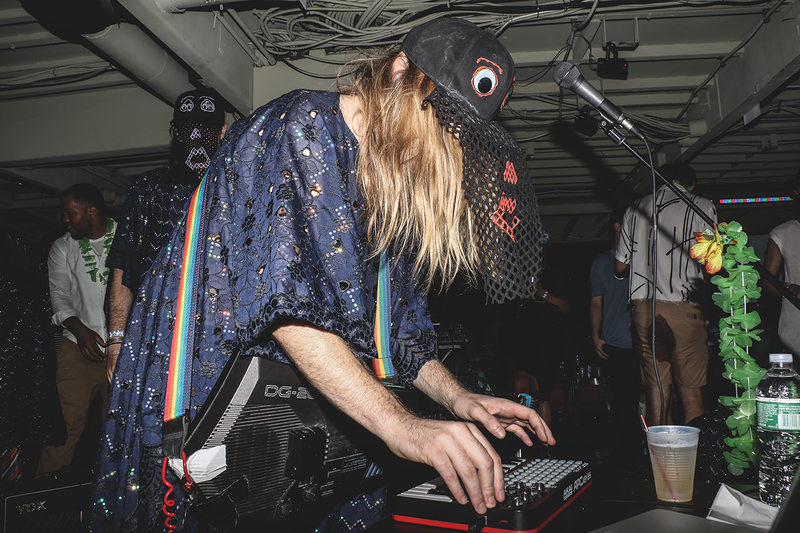 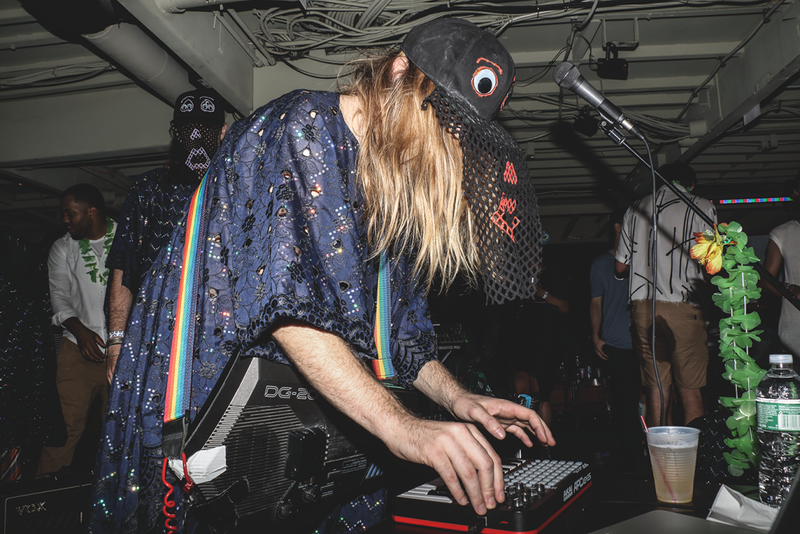 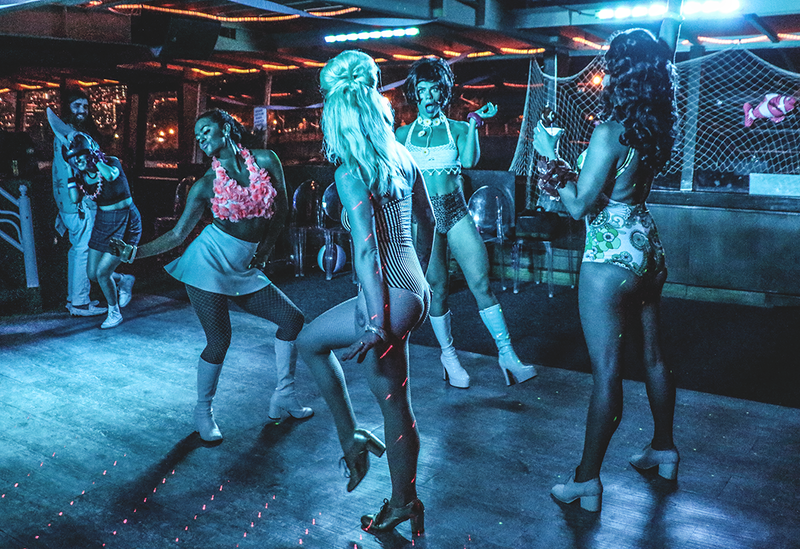 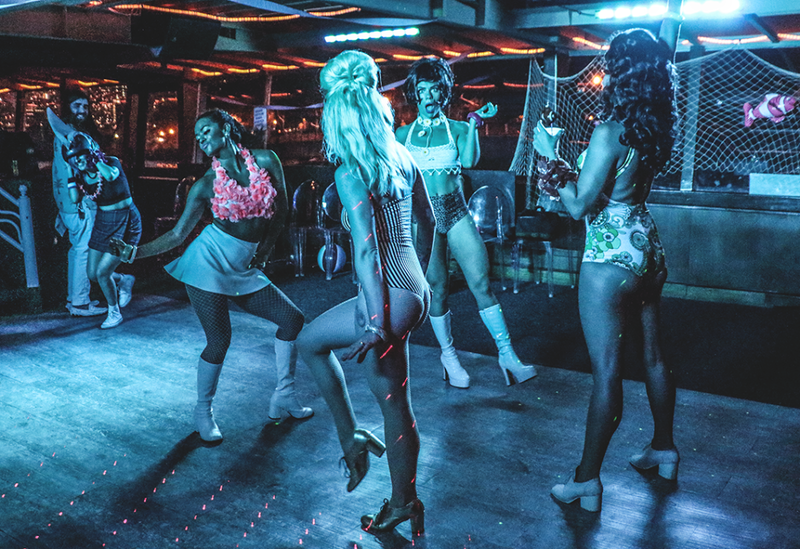 A people-watcher’s paradise, the dance floor was a mash of fishnets, neon, and beards. 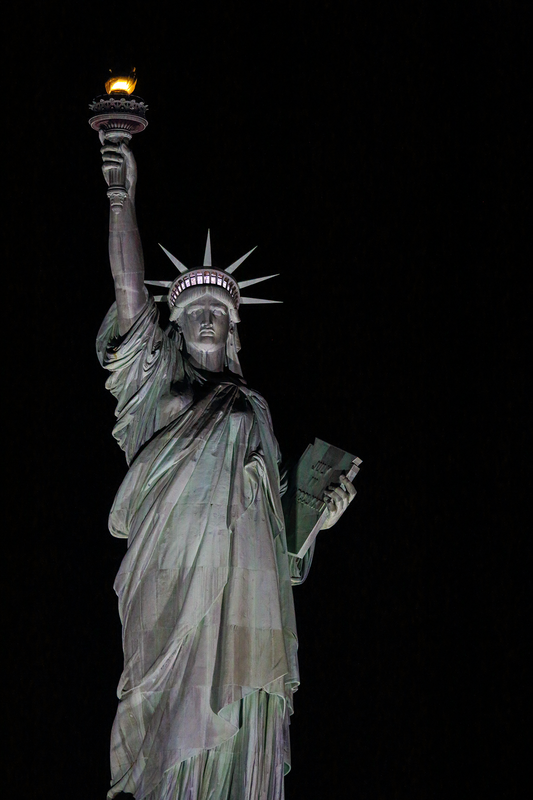 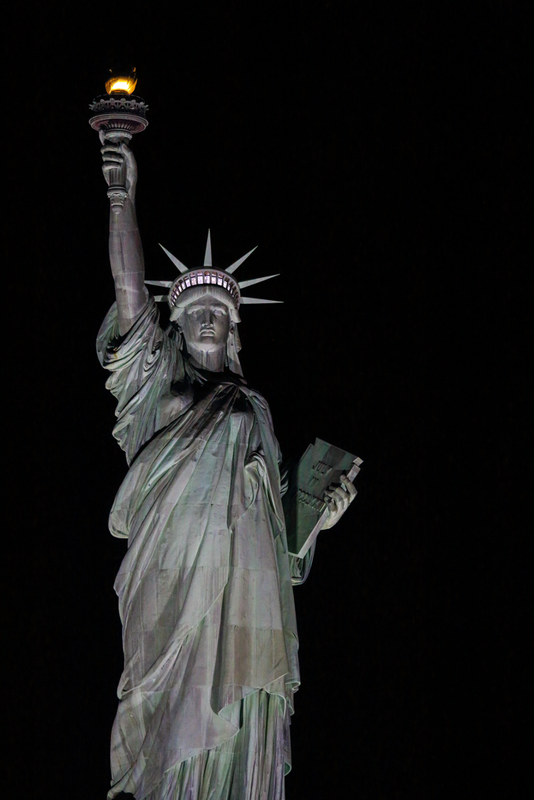 Even the Statue of Liberty looked a little bit intrigued as the boat did donuts around her skirt. 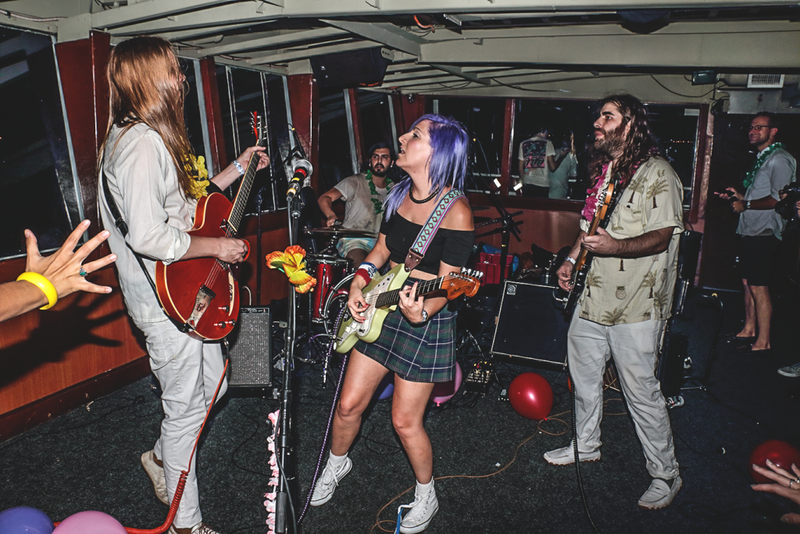 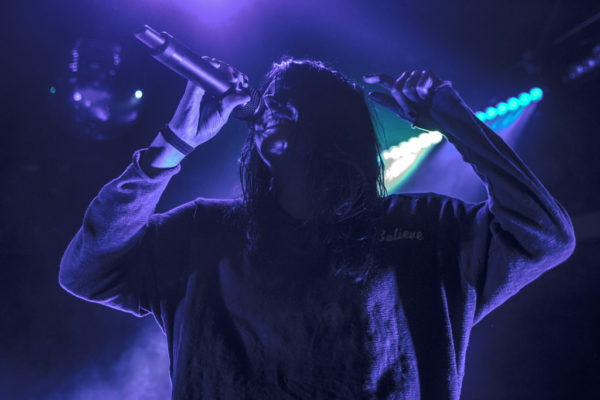 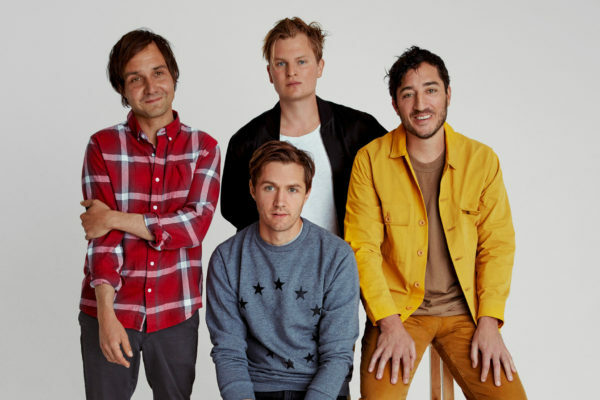 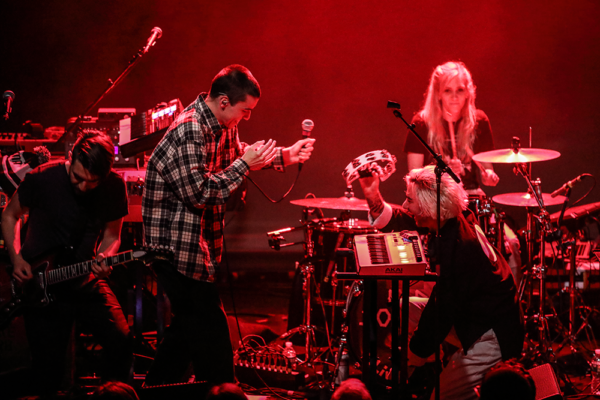 As the water rolled beneath them and the city coasted away, High Waisted found an edgy new place in the familiar cascade of surf rock progressions. 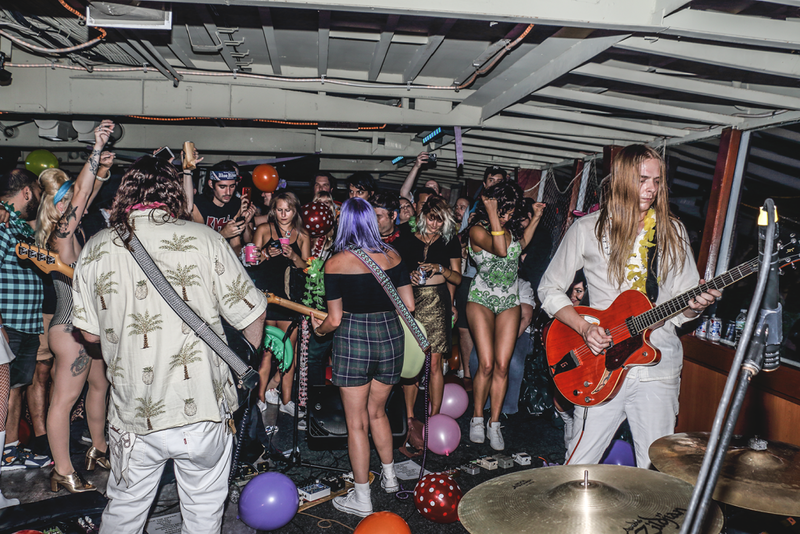 But the party ended with a different kind of music, when the whole crowd started popping balloons just to make each other scream.